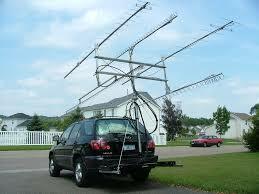 KD2SL; Kevin has some surplus antennas available that could be modified for the amateur bands. Check out his website at KD2SL.com for pictures and information. The next meeting of Onondaga County Radio Emergency Corp, RACES and ARES will be on Tuesday April 26, 2016 at the Liverpool Fire Department Station #1 (RT 57, Oswego Rd). Doors will open by 5:30...meeting to begin at 6 PM. Please park out back by the meeting room. This is open to any amateur operator with an interest in auxiliary communications. You do not need to be a member. The KD2SL 224.120 Repeater in Syracuse will be hosting a new Friday night Net starting at 7pm. This will be a general net, open to various discussion topics. N2VZD; Tim will be the "starting" host, but he hopes to have alternating NET control operators as time goes on. This is a great opportunity to get some experience running a NET. Contact N2VZD; Tim at N2VZD@aol.com if you are interested in helping out. 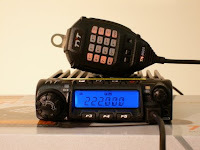 On the April 22nd Net, KD2SL; Kevin will start out the NET with an overview of his 220 repeater project and the work that went into bringing it on the air. Check out pictures at KD2SL.com. So tune in to 224.120 Mhz (-) PL = 103.5, starting this Friday and join the fun! 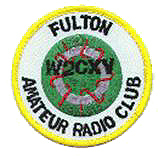 Thanks to K2WOP; Curt, we have finally picked a spring date to get a breakfast scheduled and open to ALL local Hams. It will be Sunday, May 15th at 10 am, come early or stay late. This is a great chance to meet up with some of the folks you talk to on the air, but possibly have never met in person. Come on all you drive time radio jockeys, "6M QCWA Netters", CNY SWAP and Hobby Net check-ins - we hope to see you all there. Spring Basic Skywarn training will be happening on Wednesday, April 20, 2016 at the Clay fire station No. 1 at 4383 State Route 31, Clay, NY 13041. 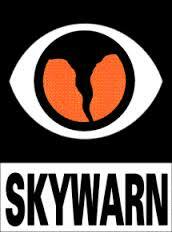 Class will run from 6:30pm - 8:30pm for anyone in Onondaga County looking for SkyWarn training. 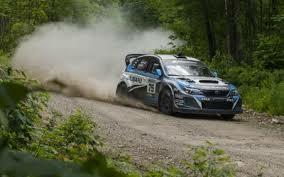 Susquehannock Trail Performance Rally (STPR) is an exciting and demanding motorsport featuring some of the most challenging roads in the world, drawing top worldwide professional rally teams. STPR® 2016 marks the 40th running of this event, the oldest, continuously running motor sports event in PA. Wellsboro PA is a scenic tourist destination, 2 hours south of Rochester. Licensed amateur radio operators are needed for rally communications, for net control, at spectator and safety checkpoints, to ride in rally vehicles, and other duties. Volunteers get free food, free camping, free t-shirt, pin and bumper sticker, free admission to the fairgrounds, the best rally spectating, and other benefits. This may be the most fun you’ll have as a ham. Go to www.stpr.org for more information and to volunteer check out http://www.stpr.org/volunteers/. Ask for more info at RARA meetings and someone will tell you their STPR stories. If you’ve never seen this type of motorsport before, it’s similar to world rally or global rallycross, small powerful cars going as fast as they can through the woods on dirt roads. 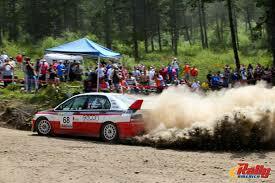 Performance rallying is the exciting and demanding motorsport. With its high percentage of stage miles and a course featuring some of the most challenging roads in the world, STPR® is one of the America’s best-known rally events.STPR® regularly draws the top rally teams from the United States, Canada and abroad who enjoy putting their skills to the extreme test of performance rally. Competitors from the worldwide professional rally community are also found at this premier event. 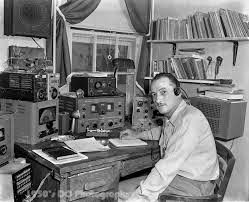 References: April 2016 RARA Rag (Jon Dickason,N2JAC) and the STPR website.